We are a small concrete statuary company located in St. Thomas, Ontario. 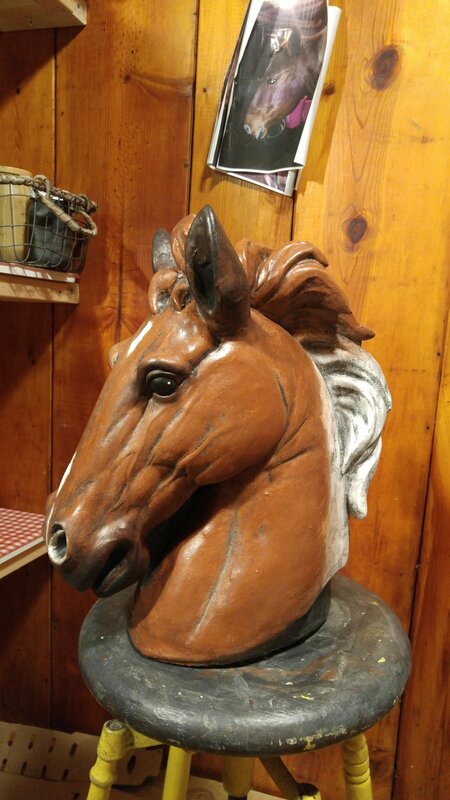 We have a wide variety of outdoor ornaments to choose from, with statues varying from whimsical to . We are proud to offer many unique pieces that are not available in stores. All of our statues are handmade right here in our shop in solid cast concrete and hand finished with a protective concrete stain. All of our pieces may be finished in custom colours to suit your personal taste. Take a look at the 2018 catalogue to see what we have available. Any unfinished concrete pieces can be brought to the shop and finished to your taste. Send a picture of the piece by email (concreationsgarden@gmail.com) for a quote. I Will Paint Your Cat or Horse! If you would like a custom statue of a favourite feline or horse, you can send pictures by email showing the colours/patterns and I can recreate the look in statue form.